Being the leading manufacturers of high quality APC UPS, we ensure that the quality inbuilt product is delivered to the customers. The product is manufactured under the supervision of our skilled professionals who excel in this field and make sure that the products are manufactured in adherence with industry set quality standards. Our entire product range is fabricated using quality approved fabric and is durable in nature. Our clients can avail the product from us at very reasonable rates and within the specified time frame. We are looking for inquiries from South India region including Andhra Pradesh, Karnataka, Kerala and Tamil Nadu and cities like Bangalore, Chennai and Hyderabad. 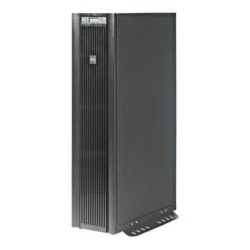 Our firm is engaged in the manufacturing and supplying of wide range of APC UPS for the customers. The raw-material for the manufacturing of the product are procured from the most reliable vendors of the industry. These UPS' are used for various purposes and are ideal for telephone equipment, computer, medical equipment, offices, hospital and factory purposes. Our clients can avail this product from us at very reasonable rates and it will be delivered to the customers within the time period specified. Before dispatching the product to our customers, the product is quality tested on varied parameters to ensure 100% client satisfaction. Looking for APC UPS ?